Scientists are working out the kinks of this breakthrough technology. Since the CRISPR craze started, scientists have focused on adapting the system’s precise and reliable DNA cleavage for genetic engineering. CRISPRs popped up in Japan in 1987, when researchers reported they had found an “unusual structure” in the E. coli genome, consisting of a series of repeated stretches and interrupted by unique “spacer” sequences. Later studies showed that the spacer sequences corresponded with the sequences of phages that had infected the bacterial cells. In some prokaryotes and archea, CRISPRs and their CRISPR-associated proteins (Cas) proteins operate as a sort of adaptive immune system, defending against invading bacteriophages and plasmids. In future papers, scientists described the CRISPR system as a unique RNA silencing system that functions by homology-dependent cleavage of invader RNAs. As described by Bhaya et al., the CRISPR system allows the host bacterial cell to specifically incorporate short sequences from invading genetic elements (virus or plasmid) into a region of its genome containing clustered regularly interspaced short palindromic repeats (CRISPRs). When these sequences are transcribed and processed into small RNAs, they guide a multifunctional protein complex (Cas proteins) to recognize and cleave incoming foreign genetic material. “This adaptive immunity system, which uses a library of small noncoding RNAs as a potent weapon against fast-evolving viruses, is also used as a regulatory system by the host,” researchers said. Researchers have been quick to focus on the gene editing potential of this system, allowing them to cut DNA at precise locations—and at several sites at once, if desired—so that they can test the effects of mutations inside a cell. And companies have been founded to commercialize the technology, noting that because it is easier to produce and much cheaper than current gene editing tools that require considerable engineering, it could potentially replace them. 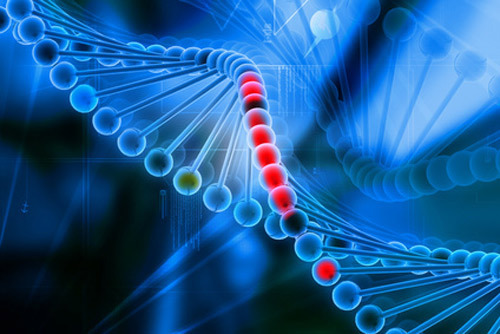 Currently available gene editing technologies include zinc-finger nucleases (ZFNs) and transcription activator-like effector nucleases (TALENs) composed of programmable, sequence-specific DNA binding modules linked to a nonspecific DNA cleavage domain. These engineered nucleases work by inducing double-stranded breaks that stimulate error-prone nonhomologus end joining or homology-directed repair at specific genomic loci. But ZFNs, TALENs, and other genome-editing tools require re-engineering for each new DNA target—that is, a custom DNA targeting section and a custom nuclease section. In 2012, Jennifer Doudna, Ph.D., then at Howard Hughes Institute, along with several colleagues proposed that their studies revealed a family of endonucleases that use dual RNAs for site-specific DNA cleavage and highlights the potential to exploit the system for RNA-programmable genome editing. She and her colleagues, working at Howard Hughes, the University of Vienna, the University of California at Berkeley, and the University of Umea in Sweden, elucidated the biochemical processes by which CRISPR systems work. Reporting in an August 2012 online edition of Science, the team identified a “DNA interference mechanism” involving a dual-RNA structure that directs a Cas9 endonuclease to introduce site-specific double-stranded breaks in target DNA. The tracrRNA:crRNA-guided Cas9 protein makes use of distinct endonuclease domains (HNH and RuvC-like domains) to cleave the two strands in the target DNA. Target recognition by Cas9 requires both a seed sequence in the crRNA and a GG dinucleotide-containing PAM sequence adjacent to the crRNA-binding region in the DNA target. The authors further showed that the Cas9 endonuclease can be programmed with guide RNA engineered as a single transcript to target and cleave any dsDNA sequence of interest. Based on this and other papers, Science chose CRISPR technology as a runner-up Breakthrough Technology of the Year in 2012, predicting that it would allow researchers to experimentally examine the effects of mutations suspected of causing various diseases by inserting them into healthy cells, as well as produce animal models of human diseases. To date, work in the field has moved lightning fast, as researchers discover ways to use it to study the Drosophila genome, yeast, zebrafish, and mouse zygotes. And the technology has generated a lot of enthusiasm among scientists, despite some of its drawbacks, like off-target effects, that some researchers have recently reported can be controlled. Last August, a team at the Broad Institute of MIT and Harvard provided an enhanced version of the technique that decreases editing activity at predicted off-target sites compared with earlier implementations. F. Ann Ran and colleagues demonstrated in human cells that using paired (double) nicking can reduce off-target activity by 50- to 1,500-fold in cell lines, and facilitate gene knockout in mouse zygotes without sacrificing on-target cleavage efficiency. This versatile strategy, the researchers said, enables a wide variety of genome editing applications that require high specificity. Ran and colleagues took a hint from ZFN and TALEN systems, which use two independent DNA-binding modules to control specificity. The group developed an analogous approach for the CRISPR-Cas9 system that uses specifically paired guide RNAs that bind to opposite DNA strands at a target locus and a mutant nickase version of Cas9. And startup biotechs are focusing on commercializing CRISPR technology, betting that CRISPR’s widespread adoption will facilitate DNA editing and change the way gene insertions studies are carried out. Caribou Biosciences of Berkeley, CA, is developing a technology based on the bacterial nuclease Cas9, which generates double-stranded DNA breaks in a sequence-specific fashion. Caribou cofounder and CEO Rachel Haurwitz, Ph.D. says, “The efficiency and the ease of use of the Cas9-sgRNA system has allowed rapid and exciting work across a number of cell types and organisms already this year, but questions around specificity have lingered,” she commented. Caribou founders are all from UC Berkeley, and include James Berger, Ph.D. (now at Johns Hopkins), Dr. Doudna, Martin Jinek, Ph.D. (now at the University of Zurich), and Dr. Haurwitz. Last September, SAGE Labs, a provider of in vivo products, services and technologies in the field of genome engineering, said it had entered into a partnership and licensing agreement with Caribou for key intellectual property related to the CRISPR/Cas9 genome editing system. The agreement gave SAGE Labs exclusive rights to Caribou’s intellectual property to produce and sell genetically engineered rats, and nonexclusive rights for mouse and rabbit models. The Cas9 system, the company says, will complement SAGE’s ZFN technology, allowing SAGE to offer customers access to novel animal models of human disease. Meanwhile, we expect that activity in the CRISPR space will continue to increase as further refinements to the technology accrue. Patricia Fitzpatrick Dimond, Ph.D. (pdimond@genengnews.com), is technical editor at Genetic Engineering & Biotechnology News.